It can be hard to sort files into place and keep track of to-do lists when you are trying to run a business. Many big companies can hire dozens of team members to keep things on track. However, if you own a small business it is probably up to you and you alone to keep your business organized. Thankfully, there are plenty of inexpensive online tools available to help improve your business organization. Check out our picks for the top 5 business organization tools for small businesses to improve your professional presence exponentially. Dropbox is a popular cloud-based service designed to store all of your important files in one secure space. With Dropbox, you can organize your file system like never before. Because it is a cloud storage service, images, word documents, links and events can all be easily accessed from your laptop, phone or tablet. Dropbox is only $12.50 per month for small businesses looking to store their files on a secure, easy to use network. Clear is a business organizational app for time management that is often promoted by training companies to improve business efficiency. The time management app is gesture based, making it incredibly easy to use. You can use the organization app to create and management lists, schedules and reminders to effectively organize daily tasks. In addition, if you have a Mac, Macbook or other Apple device, you can sync these tasks and reminders across all of your devices. If you do not mind paying $5 for time management apps, consider Clear to help improve business organization. Quickbooks is a popular online accounting software that can help to make sure your finances are always in order. Online banking, expense tracking, inventory and payroll are all consolidated in this simple program. Quickbooks allows users to manage their taxes and funds all in one place with ease. Small businesses can enjoy Quickbooks’ many services for as little as $15 per month for the first six months. If your small business is in need of a boost when it comes to social media, look no further than Sprout Social. Sprout Social is a service designed to help you connect with your customers. From social media management to customer service and marketing, Sprout Social does it all. This social management site can save you time and money with a social content calendar so that you never miss a post. For just $59 per month, you can manage up to 5 profiles and watch your social media following grow. If you are still not convinced, Sprout Social offers a free 30 day trial so you can test it out before you buy, and all financial professionals would approve of trying it out for free. Smartsheet is a task manager that simplifies your day. With their project management tools, flexibility and online collaboration options, Smartsheet is the perfect online tool to help improve your business organization. Now, employees can communicate about their projects quickly and efficiently. Costing only $15 per month, Smartsheet can help bring some coordination back to your business day. 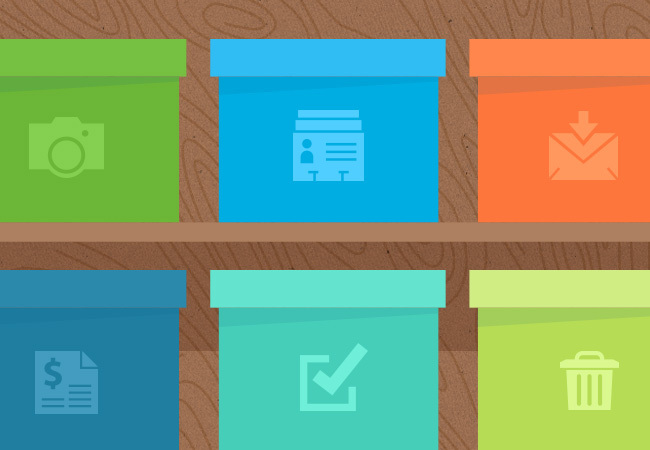 Sanebox is designed for anyone who needs help sorting through their emails. As a small business owner, you probably receive hundreds of emails every day, maybe a fraction of which are actually relevant or useful. With Sanebox, you can keep spam and solicitation emails at bay. Sanebox can organize your emails by sender, allowing you to keep track of the messages that are really important. For as little as $16 per month, you can enjoy the ultimate business organization tool for email. Business organization is a tricky task, but these top 5 inexpensive tools make it a little easier. If you want help with your social media, business files or even just your email, there is an option out there for you. Decide what organization tools are right for you and watch your business improve.